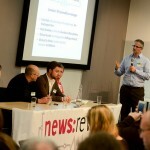 The main focus for news:rewired has always been in providing practical skills and advice for journalists in their day to day work. With that in mind, we’re pleased to make the news:rewired+ training day options available for the forthcoming event in July. 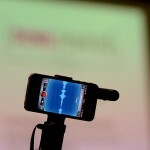 The full conference will take place on Thursday 16 July, with a day of speeches, sessions and workshops on digital journalism, followed by a day of training on Friday 17 July. 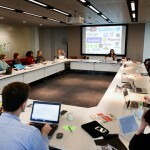 Check out the new course listings. 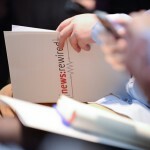 Our news:rewired+ tickets give delegates access to both the news:rewired conference on Wednesday 23 July and one of three training courses on Thursday 24 July. 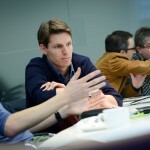 We will have more details on the contents of the data journalism course very soon. news:rewired+ tickets are currently available at a limited discount earlybird rate of just £245 +VAT, which is a 25 per cent discount on the training courses (which cost £200 +VAT to book separately). 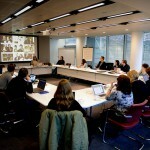 Announcing the agenda and additional speakers who will be presenting at news:rewired – full stream ahead, which will take place on 13 July 2012 at MSN HQ, London. New speakers include Raju Narisetti, managing editor, WSJ Digital Network, Alex Gubbay, director of digital platforms at Johnston Press, Subhajit Banerjee, mobile editor at the Guardian and John Barnes, managing director of the technology and digital division at Incisive Media. We’re also pleased to confirm Pete Clifton, executive producer of MSN; Martin Fewell, deputy editor of Channel 4 News and Damian Kimmelman, CEO of Duedil.